Howard Coutts discusses collectible china, dinnerware, and art pottery, focusing on ceramics as a work of art, the major manufacturers, and the materials used to make various types of pottery. The Bowes Museum’s Ceramic Collection web site is a member of our Hall of Fame. I’m the curator of the ceramics bit of the Bowes Museum. It’s a big museum with 30 galleries of which three or four are devoted to ceramics alone. Within Britain, it’s got one of the biggest and most expensive groups for people to see. We have about 5,000 or so pieces in the collection. We’re not sure exactly. It’s all registered, but of course we get tea sets registered under one number, so I think in total it’s about 5,000. I’ve collected both cups and saucers over the years, which are not terribly expensive and quite interesting. I don’t mind that they’re a bit chipped. If you’re a museum curator, I think it’s considered not right if you collect from the same field as the museum. This museum has a special interest in continental ceramics, things like Sèvres and Meissen, and effectively those are too expensive for a private individual such as myself to collect. The collections here were formed in Paris, so they’re very good on French items and also things from Germany. The English collections here are not so strong, though we were given a very wonderful collection of English porcelain, the Lady Ludlow collection, a few years ago. We believe that English ceramics are very well covered in other museums. For instance, things from the northeast, Sunderland Lustre, we leave to Sunderland Museum. We’re not trying to compete with other museums in our region. We do best by having a specialty that gives us a certain kind of status or interest amongst big national museums. We’re not a national museum, but we have some links and discussion with the Wallace Collection in London. We would try and pick up on fields not covered by other museums in the area. We’ve bought some things from the big ceramics fair in London, which is in June. Sometimes we bid at auctions. It’s fairly intermittent. It’s not something we do every week or even every month, but sometimes people alert us to things that we feel we should go for and we go to our friends’ organization to get grants. We get grants from people. There’s not a lot of money for this kind of thing. Collectors Weekly: How did you become interested in ceramics? Coutts: My grandmother had a collection – we thought these were wonderful antiques, but of course I know now they were really just what we call Victoriana. At university, I studied the history of art, the history of painting. I got a job at the Victoria and Albert Museum in London, and from that I learnt a lot about the history of the decorative arts and that got me interested in ceramics as a work of art. I got a research fellowship in the late 1980s to discuss the prints on ceramics, or ceramics as works of art, and from that I was able to write a book called The Art of Ceramics, in which I talk about the different shapes and styles of decoration that you get on ceramics and how they relate to the styles of the time. Collectors Weekly: When did people begin making ceramics? Coutts: Thousands of years ago. Here in England, they’d dig up cremation urns with the ashes of people buried 3,000 or 4,000 years ago, before the Romans came to Britain. The Romans, of course, made very sophisticated pottery with stamped or molded decoration. In Europe, it all fell into abeyance after the Romans, and it was really only in what we call early Medieval times in Spanish countries and North Africa that they started making these wonderful luster wares, which Europeans copied. I suppose from my point of view, the first big ceramic movement is Italian pottery, or majolica, in 16th century Italy. They copied Raphael and Michelangelo and things like that. That’s perhaps where it enters the mainstream of the arts, of the luxury items, the very rich. People started using very elaborate decorated ceramics, which clearly demonstrate status. Many people have or used to have the best tea set or dinner service, which was brought out whenever they were entertaining people they wanted to impress. That is the kind of thing you find in museums today. My theory is that we have everyone’s best china. What was used and broken is dug up by archaeologists, and it’s often much plainer and simpler and less visually exciting. 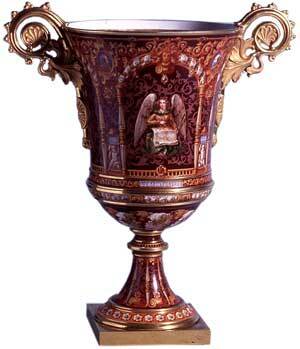 At the courts of Italy, if you’re serving a meal to the pope, you’d use majolica, which is very elaborate pottery. Sometimes a lot of these things were shown on what they called a credenza, or sideboard. We think they’re not often used, only at very grand feasts, and were put out for display. With the court of Louis XIV at Versailles, the way in which you eat foods and the dishes you’re served them in get very rigorously defined. This was something I discussed in some detail in The Art of Ceramics, because I got interested in cookery, recipes and even table decoration made out of sugar sculpture. Little porcelain figures were used to decorate tables along with decoration made out of sugar paste when you had your dessert in very grand and rich houses where you really try to impress your guests. Because my background is more prints and drawings, which is the department I worked in the Victoria and Albert Museum, when I came to ceramics, I was interested in why dishes are different shapes when the food will taste the same, whatever the shape of the dish. I got very interested in the history of dining wares and how people had dinner and how that was separate from dessert that came after. They had different shaped dishes that went with each food. You’ve got terrines and soup dishes and side dishes, and then of course for tea and drinking, you get a whole range of new shapes according to what you’re drinking or pouring. In many ways, they’re interchangeable. If you think about it, you can have tea from a coffeepot and coffee from a teapot; it’s just that we don’t. We still seem to like specialized shapes to go with certain foods, and then once you start decorating them, painting flowers or writing gilding, you’re into another field of wealth and ostentation. Eventually these things end up in the china cabinet and become collector’s items. Collectors Weekly: What are the most popular types of ceramics to collect? Coutts: It’s difficult to explain. The most expensive are things like Meissen or Sèvres porcelain made in the 18th century in Germany and France, but ceramics is a very flexible field. You can collect things your mother had on the table 20, 30 years ago. You can go from very grand things made for kings and princes to things used by everyday people, just of the past generation. You can get quite interesting things for a few dollars, really. I went to the United States and got some of the ceramics by Russell Wright in thrift shops, and of course they’re quite nicely designed. They’re mass produced, but they were designed by a famous designer, and they take you into higher fields of people trying to do something of quality, but they’re accessible to everyone. Perhaps the most popular designer in England is a 1930s Art Deco designer called Clarice Cliff who made pots. All her pots were designed by her and painted by her. They were called pottery ladies, or ladies that painted in the factories. There’s a factory in England called Spode that makes good, quality ceramics, and there’s Minton and Wedgwood and Mason’s, who make ironstone. The big field nowadays, I think, is Chinese and Japanese porcelain. The prices can go sky high and can fetch millions of dollars on occasion. We don’t really know of designers for Chinese porcelain. Most of it is made at a place called Jing Dez Hen. You can’t really collect it by factory as people collect European ceramics, but collectors look at the styles of decoration and qualities of the painting. Interestingly enough, some in the 18th century were done on commission through European designers for export to the West. 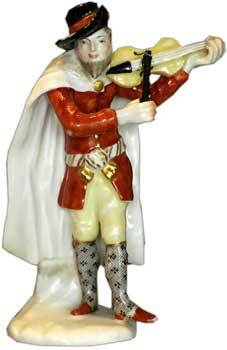 Meissen figures were often modeled by a famous modeler called Kaendler, who was actually a sculptor. These are very sought after. You get figures at the factory of Nymphenburg near Munich, modeled by someone called Bustelli, who made very beautiful commedia dell’arte figures. Then for the French factory, you’ve got quite a range of these big, elaborate vases designed by some of the most famous sculptors at the time. At its top level, these sculptors and architects might supply designs, and the painter François Boucher, who worked for Madame de Pompadour, did designs for little table sculptures of children and cherubs. They made several hundred examples, so it’s possible to buy one of these pieces today. You couldn’t buy a painting by Boucher, but probably if you gave up your holiday, you could buy a sculpture that he designed for a factory in the 1760s. Collectors Weekly: What type of art was being put on the ceramics? Coutts: The obvious thing is people can paint decoration, and on porcelain you can paint what they call enamel colors over the glaze and get an effect very similar to a fine oil painting. You can actually add gilding to frame it. These are very elaborate and can be very expensive and are not always to people’s taste. One of the issues is to what extent these are simply copies of other people’s paintings and to what extent they are original artistic creations in themselves. In the early 20th century, you get something called the studio pottery movement, where you get individual potters in Britain and America creating things with their own hands on a potter’s wheel. The part of a decoration becomes a work of one person and you may use it on the dinner table or may not, but you’re very conscious that it’s like a painting. It’s something made by an individual as a functional object, but also as a work of art at the same time, a unique piece, very possibly with the artists’ fingerprints still impressed. Sometimes there’s a technique of transfer printing where it’s really an engraving applied to the body, which is fired on. You can make hundreds if not thousands of these. A lot of people, I think, quite rightly like the very nice blue and white plates made in Staffordshire in the 19th century. These are nearly always transfer printed. 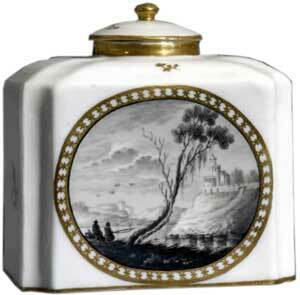 A very famous pattern is Spode’s Italian, which shows a landscape in Italy. This was first made in the early 19th century, but I believe it’s still made today as their longest running design. Ceramics are seldom the work of a unique neglected genius. Especially for those made at big factories, there was always a commercial element, so they followed the styles of the time. If they’re made in the French court, they’d follow the style of the king’s silver and of curving Rococo styles, but in Staffordshire in England, they were looking towards a mass market that included not just Britain but the whole world. I believe a lot went to the United States. They made things that were not too specialized but were very attractive. The blue and white willow pattern is the most famous example which I think everyone likes, you can’t really dislike it, and that’s been going for 200 years. In the 1930s, people do these jazzy angular art deco designs. Those, of course, really go back to the cubism and Picasso of 20, 30 years before, so if you buy something with an art deco design, you’re buying something that goes back to Picasso’s work in Paris before the First World War. Ceramics are generally defined as pottery and porcelain. Pottery is earthenware and you can’t see through it. Porcelain is translucent; you can see through it. They are made of slightly different clays. Porcelain is always fired to a high temperature of over a thousand degrees, but you get different types of porcelain – hard paste, real porcelain from China, artificial glass like soft paste from Europe, in France and England in the 18th century. Even in pottery, you get the low-fired earthenware and then high-fired stoneware made in Germany, which is extremely tough. Even if you break it, the bits would remain in the soil for hundreds of hundreds of years and could be stuck back together. Once it’s fired, it’s a very tough material. People collect both porcelain and pottery – many factories such as Spode and Wedgwood did actually make both – but in practice, people are either pottery enthusiasts or porcelain enthusiasts. Pottery seems to be the thing that ordinary people had and porcelain was the thing that kings and princes had, but nowadays it’s much more blurred. 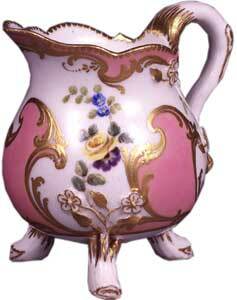 Anyone today can afford a porcelain tea set; what you can’t afford is something hand-decorated. Decoration and particularly skilled handwork is very expensive indeed. There were many more skilled painters who painted flowers on dessert services and landscapes in the 19th century than there are today. I believe they do survive at places like Derby, but it’s much more on the basis of a special commission by a private individual. 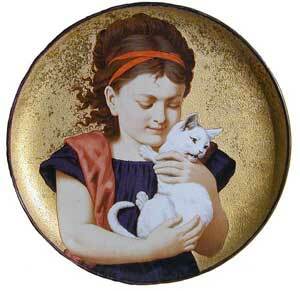 In the 19th century, they used to get children painting little sprigs of flowers on the porcelain or pottery. That wouldn’t be allowed today. People don’t generally use the ceramics they collect. If they’ve acquired a rare piece and they paid a lot of money for it, they wouldn’t wish to have their dinner on it. It’s probably okay to do so if you’re careful, but of course you risk breaking it or rubbing it. On the whole, I think people keep them in china cabinets on shelves. They’re too worried about breaking them. Collectors Weekly: Are there some major differences between the ceramics from Paris and Germany? Coutts: Yes. 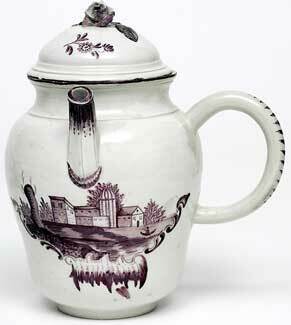 In the 18th century, German porcelain is all what is called hard-paste porcelain, which is what they made in China, and that’s a complete fusion of China clay and China stone. In the 18th century, the French and the English made what is called soft-paste porcelain, which is a kind of artificial porcelain which has the ingredients of glass. It’s a suspension in solidified glass. It’s much more fragile, but it does have a beauty of its own and the colors seem to shine through better on it. I believe France used the same material as England, then in the later 18th century, they found real china clay, so that meant that they could start making true hard-paste porcelain. That’s the beginnings of hard-paste porcelain in France, which becomes standard in the 19th century. In England, we developed something called bone china, which is hard-paste porcelain with ground-up animal bones, bone ash. 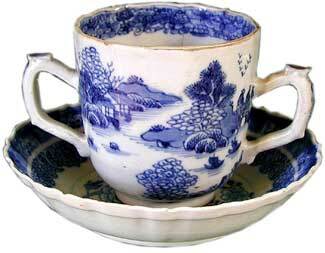 Even today, the English make bone china and the continent makes hard-paste porcelain. Collectors Weekly: What’s the benefit to using bone? Coutts: To be absolutely honest, I’m not really sure. I believe it strengthens the body, but it also produces perhaps a warmer color. Both bone china and hard paste porcelain are very durable. The soft paste that was made in the 18th century is very fragile and won’t withstand boiling water, which is disastrous if you’re trying to give a tea party. Your teapot won’t survive. We were never quite sure how they were used. Collectors Weekly: When people collect, do they focus on a specific country like France or Germany or more on a specific style? Coutts: Collectors tend to focus on a single factory or place of production. 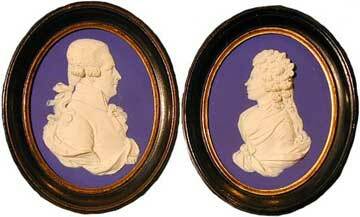 You get people who collect Sèvres or Meissen. Chinese pottery is a huge area. On the whole, ceramics are studied by factory, so people know a lot about the factory. They would know all about the marks for dating. They won’t always recognize if the factory is copying the style of another factory or country, which of course the porcelain ceramic factories did a lot because they were competing with each other. The books are published according to factory. The big factories really started under royal patronage in the 18th century. In Germany, they started the Meissen factory under the king of Saxony. In France, there’s a factory that served under the patronage of the king of France. All the courts of Europe had their own factory, except in England where the court isn’t so strong and you get private factories such as Chelsea and Worcester, and then in Staffordshire in the 19th century, you had a lot of factories, such as Minton and Wedgwood, that exported across the whole world. They were market leaders and very good at mass production and selling. Very competitive. They’d all make dinner sets and washroom sets and tea sets. Some did more hand painting than others and some sent things to these big exhibitions in the 19th century. But in truth, it was a fairly commercial field and they’d make whatever sold. Collectors Weekly: Who was Josephine Bowes, and is she typical of people who’ve collected ceramics? Coutts: It’s difficult to generalize about ceramic collectors. I’m a member of various collecting societies and there are a lot of husband-and-wife teams. Sometimes it’s seen as a woman’s hobby, but I don’t know if that’s particularly true. Our museum was founded by Josephine Bowes and it clearly was her hobby. But if you look at the books written on ceramics, some are by men and some are by women. I think you have to have a good sense of the past to understand and appreciate ceramics. Josephine Bowes was a French actress in Paris in the 19th century who married a rich Englishman called John Bowes, and together they decided to found this big museum in the north of England in a town called Barnard Castle. She liked little individually decorated cups and saucers, so we have quite a lot of those and sets of plates. She doesn’t seem to have gone for big vases and things – we have those nowadays, but her own taste is very marked; it’s the small-scale things of very fine quality, hand painted or decorated. We have these great big rooms with big cabinets that are full of little cups and saucers and things like that. The collection has broadened now. She obviously wanted to get a bit of everything from the Renaissance onwards, and we’ve added things more recently that take it up to about 1900. It’s a quality collection of which many things are actually hand painted or handmade, but we’ve added some 19th-century Staffordshire things, commercially made if they’re of interest. It is a nice collection; it’s basically a quality collection of handmade wares from the past. Collectors Weekly: Was there a particular era in which ceramics were especially popular? Coutts: In the 18th and 19th century, they kind of overtook metalwork, things like pewter, and by the end of the 18th century, a dinner service was normally ceramic rather than metalwork. We’ve seen attempts in this century for plastic to replace ceramic, but it hasn’t really, has it? On the whole you drink your coffee out of the ceramic pottery or porcelain mug, not out of plastic, though perfectly good ones exist. So it has achieved world dominance and it’s difficult to see it vanishing. I think in 20, 30 years, people will still be eating off ceramic rather than plastic or tin foil or paper cartons. It’s a very versatile material that can be cleaned and reused over and over again. In the United States, ceramics were very popular in the 20th century. There’s the well-known designer Russell Wright, who made a lot of dinner wares in the 1930s to the 1950s and ’60s. A lot was imported from China and France in the 19th century. But there’s always been a very active pottery movement in the United States, starting in the Arts and Crafts era that goes into the present day, which is very exciting. Collectors Weekly: Where do you usually find the objects that you collect? Coutts: In England, there are a lot of antique shops. Of course nowadays you can find things on the Internet. If you really want a Spode cup and a saucer, there are various websites that you can just type “Spode” into and it’ll come up with quite a number. In some ways, it’s easier to collect from across the world because of the Internet, but you don’t have the fun or the charm of going out to some country village and hunting around the shops there. One of the trends I’ve noticed is that people are collecting what to me are more and more modern things – things I remember being on the dinner table in my childhood in the 1960s. I think the big development of the last 20 or 30 years is the development of markets in Japan and China. They are very keen to buy back things that were exported to Europe. Chinese and Japanese businessmen are buying wares which were made in 18th century for export to Europe. Those have become quite big markets with a lot of international interest. Collectors Weekly: If someone was just starting to collect ceramics, what advice would you have for them? Coutts: You don’t need a lot of money to get started and you can go to different countries to collect things that go back hundreds of years. You can start with a few cents and go as far back or into whatever field you like. I think it’s quite a personal thing. Go for something you really like. Don’t go in assuming you’ll make a profit. But if you chance upon a field that you enjoy and other people share your interests, you may end up making a profit. I would like it if people record their collections; create a catalog or a record of collection that furthers our knowledge of the factory or the type. Once you try and date it, you get to thinking of what styles were prevalent at the time and what it was used for. Be very cautious because styles keep coming back into fashion, so the fact that this is in the 18th century style doesn’t necessarily mean it’s from the 18th century. It could be a late version done in the 19th century, even 20 years ago. Some styles just keep being popular forever. I recommend Howard Coutts’s book as above, for a thoroughly good and ‘readable’ account on the History of Ceramics. I purchased a very large porcelain chandelier with small decorative ceramic flowers on it. I believe that it is Meissen but am unsure how to authenticate it. It has wood within each of the candle like holders beneath the light globes. Do you have any information or references from which I could follow up to determine if this chandelier is Meissen. It was said to have been purchased from an antique dealer in California in the late 60’s for $1,200. I purchased a full set of Robert Haviland & Le Tanneur china pattern HR01 and am having difficulty dating it. The edge is gold, with blue border and pink rose swags. All pieces look as if they were never used. Can anyone help me with any information on my funny dishes? the Regent pattern… in wonderful condition. It belonged to my great-aunt. It has the queen’s crown in gold on the back. Hello, I was wondering if you could enlighten me. I have two 8″ Royal Doulton flow blue nursery rhyme plates. One is To Market, To Market and the other Little Miss Muffet. By the appearance of their dress they look to be around the turn of the 20th century. Could you please direct me to where I could get info on these two lovely plates. I would like some advice about finding the name of a china pattern. The Limoges dinnerware set was a gift my husband and I received 40 years ago, when we were told that it was based on Napoleon and Josephine’s china. An austere (Empire) design, based on concentric circles of black, white and grey, the plates have only one other decorative element—a small, stylized black burst in the center, which I do not believe is hand painted, because it has just the tiniest relief to the touch. f) center area is white with the black stylized mandala or burst design in the middle. On the back, from top of manufacturer’s marks to bottom, the plates say: 1)”LIMOGES” and “FRANCE,” beneath a star, in green. 2) In a blue circle with a rooster image, “céralen2” followed by a tiny fleur de lis. I haven’t yet found an image of this china anywhere on the Web nor any description of it by using the Napoleon and Josephine reference. Could anyone here advise me how to identify this china pattern? a FRIEND OF MINE HAS A DOULTON BURSLEM BOWL WITH LID THAT IS A WINDMILL AND COUNTRY PRINT IN BLUE FLOWWARE. THE MARK ON THE BOTTOM LOOKS LIKE A B.4 DESIGN BUT IT ALSO SAYS NORFOLK AND R N0 257612 COULD YOU TELL ME ANYTHING ABOUT IT AND WHAT IT MIGHT BE WORTH. IT WAS HIS MOMS AND HE JUST WANTS TO KNOW WHAT IT’S WORTH. Great inspiring article. I am not really a collector but found an intrigingly beautiful sculpture from the 20-30s, an amazingly expressive fierceful large lion sculpture, porcelain or sculpture in green glaze. Found it in an ancient town in France and was told it was a Frnch original. Under its foot, I found a letter ” L “. Can You help me to deriddle where it is from? I have a large bowl and 4 small bowls celadon green crack glaze. they say M Charolles on the bottom, made in France. The mark is a daisy like flower. I can find almost nothing about this on line. I have a 12″ vase beech leaves and ivy, dark green, signed F M Collins dated 1877 Royal Doulton Lambeth Faience, guess impasto ware, chip on rim and slight damage glaze. Can’t find any details on internet. Would appreciate value and rarity. I purchased this vase believed to be Meissen. it is highly decorated with many different colored flowers. amazingly I cannot find any chips or damage. Hope you can tell me more about it’s age and maybe value? re my question on 17th January 2017 about Lambeth Doulton Faience 12″ vase signed by F.M. Collins dated 1877 ?impasto ware with beech leaves and ivy, dark green background, chip on rim and slight damage glaze, still can’t trace it on internet. Can you shed any light on this? “ ” It was subtle, under the table almost.